Aqua aerobics is aerobics exercises performed in our shallow water pool, using the water as resistance and for extra resistance paddles and noodles. Aqua Aerobics helps build cardiovascular stamina, strength and flexibility. It also to helps burn body fat and increase circulation to help you rehabilitate healing muscles and joints. Exercise in the water can be more effective than land-based exercises for people with injuries or rehabilitating muscles, by placing resistance on your muscles yet has a fraction of the stress and strain on your body. Working out in the water helps prevent overheating, so you can exercise for longer! It’s fun! We try to use music that will keep you moving and even singing along! 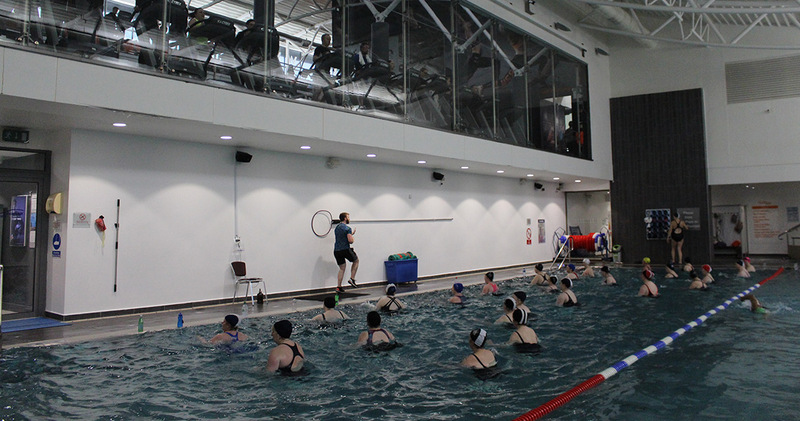 Our Aqua Aerobics classes are on very frequently during the week! Aqua is a great class for a wide range of people! It’s great for anyone with any sort of injuries or restrictions, pregnant women, over 55’s, anyone who enjoys the water, anyone uncomfortable training upstairs in the gym, anyone looking for a fun workout with fun music in the water! Aqua aerobics consists of moves pushing in the water using water for resistance. We also use paddles and noodles as an option to increase the resistance to make the moves more challenging. 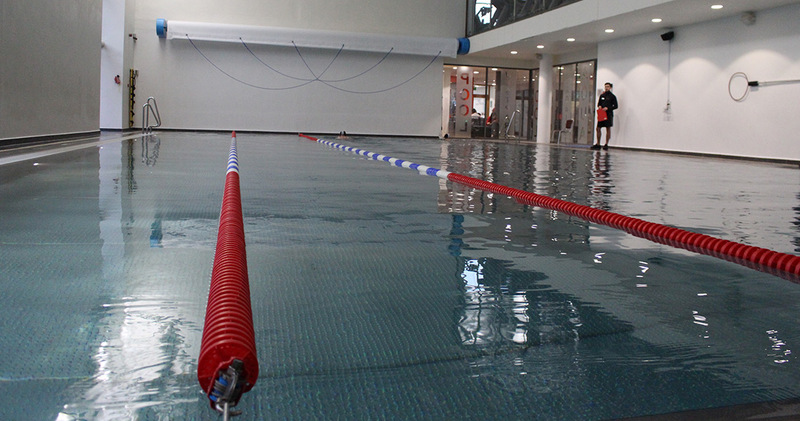 Expect to burn between 400-500 calories per hour in an aqua aerobics class! Even with a great calorie burn some of our instructors might even have simple choreographed dances for extra fun!